Therefore, we have like a half dozen stools all around our house for my children to reach things like the sink, counter, light switches and more around the house! Therefore, I am always on the lookout for stools that will not only help my children be independent and reach things around the house, but cute stools that fit their room decor! Well, if you are looking for cute decor AND a comfy stool/storage for your children's room, then let me introduce you to the Zuzu Parade of animals! They are making their way into the children’s play rooms this year! 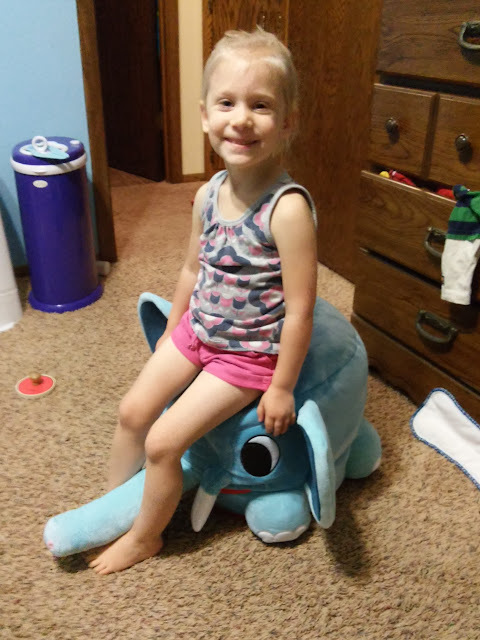 From turtles to elephants, the line carries six adorable, cuddly and convenient stuffed animal stools that are sure to bring morning smiles to children and moms alike. These fun stools inspire imagination and creativity as children can play with and name them. 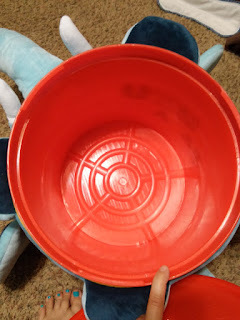 In addition, they can be used as room décor and can foster a fun cleaning habit involving the entire family. They have six different stools available: turtle, horse, lion, elephant, walrus and whale! They are 12 in. x 15 in. stools (perfect height f or little ones – or even adults!) and feature a bucket inside that has a screw lid. Plus, the animals are washable! In our house, we are LOVING the elephant! STOMP! STOMP! STOMP! 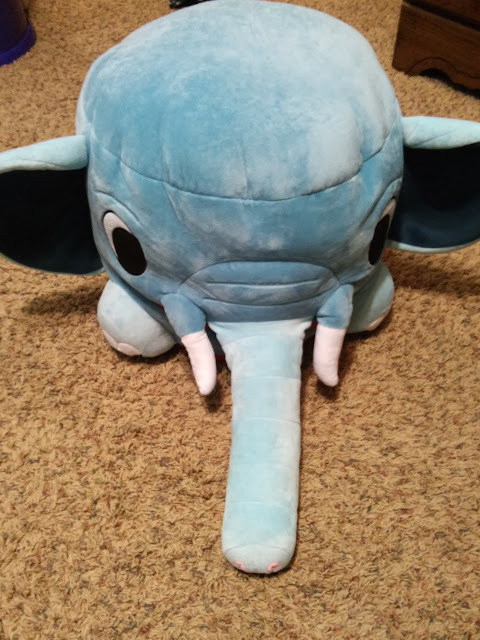 Watch out, here comes Elephant! But don't worry - Elephant is the absolute friendliest giant you'll ever meet! Let your imagination run wild with this cuddly, plush, machine-washable friend, who is perfect in any child's bedroom, playroom, or any other room around the house. 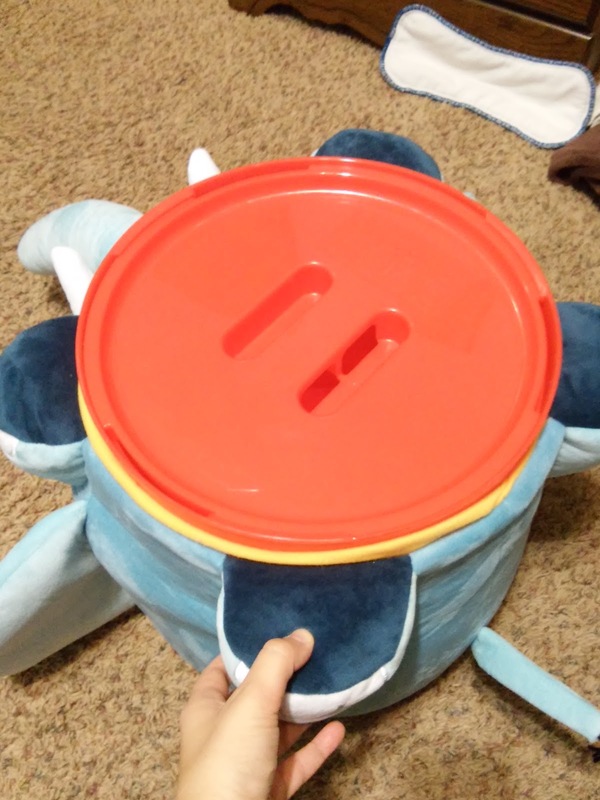 The handy compartment inside the stool is a great place to store other fun toys. 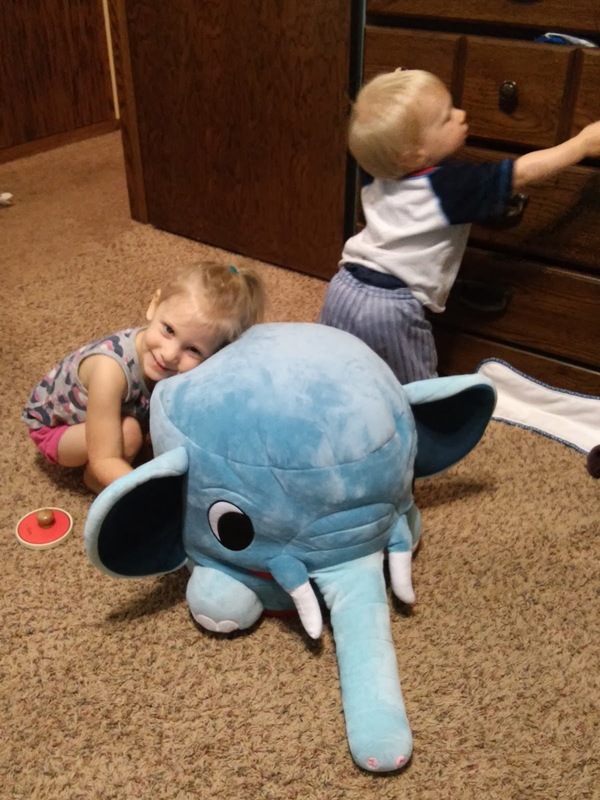 This blue elephant is perfect in my son's room and all the kids love to climb on it, stand on it, and store things in the handy bucket! He is super soft, cuddle and so cute! Plus, it is really sturdy to stand on! If you need a cute kid's room decor piece that is also multi-functional as storage and stool, this line from Zuzu Parade is definitely for you!